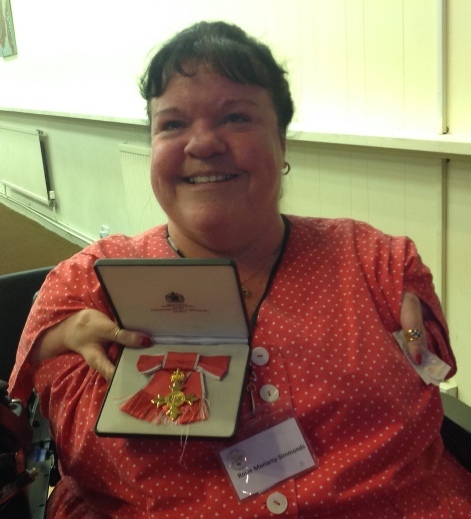 This photo shows SWAS member Rosie Moriarty-Simmonds with her OBE. She received this prestigious award in July, from Her Majesty Queen Elizabeth II, in recognition for her work as a disability & equality campaigner. All our members are very proud of Rosie.